OK everyone, I haven’t posted in awhile, but I was trying to enjoy the rest of summer. But fall is here! so get ready for a slew of new recipes. And now that its just about October which means Brussels sprouts are in season! This is one of my favorite dishes to make with Brussels sprouts. 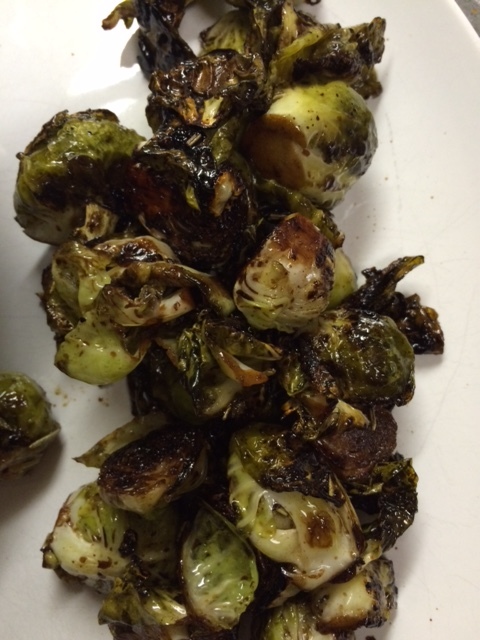 The balsamic gives a really nice crisp on the Brussels sprouts when it reduces. Note: The calories may seem higher and it’s because I counted the olive oil. If you don’t count the oil you use in cooking, or substitute with water (not as flavorful but it does cut out the calories) just subtract 120 calories. In a pan, heat the olive oil. 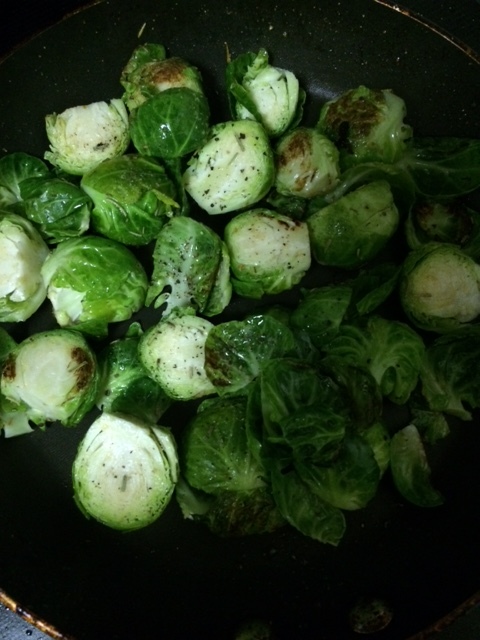 Take the Brussels sprouts.. if they’re petit spouts, you probably don’t need to chop them up. However, if they’re normal sized cut them into quarters. Mince the garlic. Toss the garlic and Brussels sprouts into the pan. Season with salt and pepper. Keep the man on medium heat, stirring occasionally until the Brussels sprouts begin to become tender. Then add the balsamic vinegar an d rosemary. 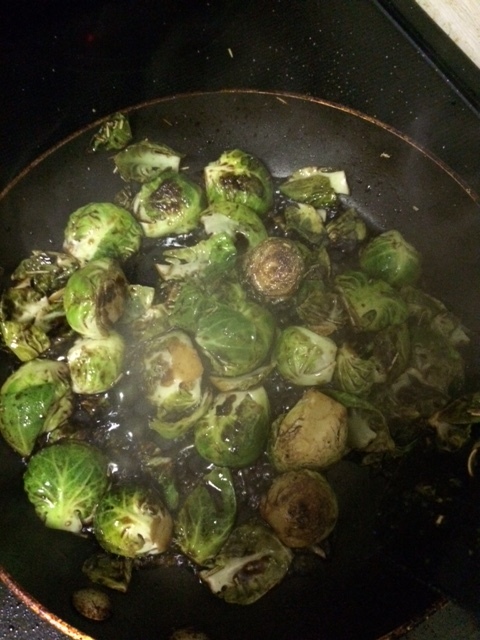 Continue cooking until the balsamic reduces down and caramelizes on the Brussels sprouts. It should leave a little char on the sprouts.I find this dish so satisfying and I hope you do too!